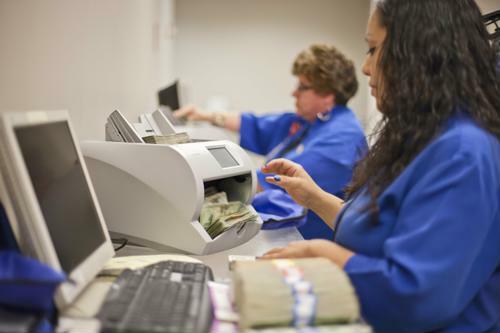 Casinos should have an established budget to follow, and currency and ticket scanners can help. Companies need budgets in order to track spending and ensure growth. For entities like casinos, financial security depends almost entirely on providing customers with an outstanding experience. Budget and quality service go hand-in-hand. Global Gaming Business Magazine stated that when casinos establish a budget, they must do so with their competitors in mind. It's best to identify the business's unique place in the market and its goals for advancing in the future. Being realistic about financial goals is crucial to success. It's also imperative that casinos identify their target markets. An in-depth understanding of the customer yields a more effective plan of service and care. As Casino Customer Service stated, guests who enjoy themselves and walk away from a casino feeling good will come back and play again. Part of that great feeling comes from well-trained staff who go out of their way to ensure guests are happy. If it seems like changes need to be made in the personnel department to boost customer service, consider investing in training rather than hiring new staff. Hiring new people over and over is more expensive than investing in additional training. In addition, any endeavor that cuts costs but diminishes a casino's ability to provide less-than-excellent care to its customers is not worth it. Guest services and the customer experience are the more important aspects of a casino's atmosphere. Casinos that use money and ticket counters can both improve their clients' experiences and reduce spending. With rapid-speed ticket imaging and an ability to process tickets, cash and checks all in one compact machine, casinos can completely revolutionize the way they serve their valued customers.